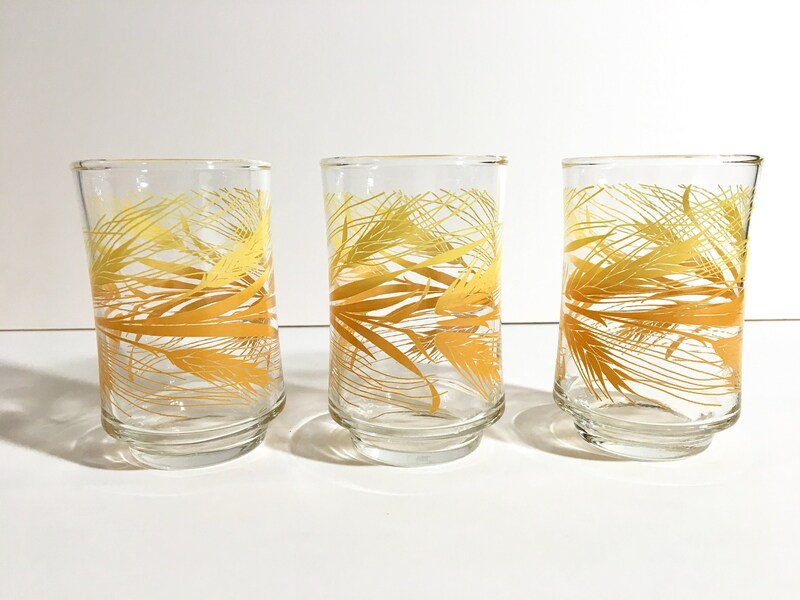 Vintage juice glasses with brown, orange and yellow wheat pattern print, set of 3. 6oz glasses measure 3 3/4" tall. Manufactured by Libby.